Urban Decay's 15-Year Anniversary Palette seems to be the "most talked about" product at the moment. At first, I was unsure about it but as time went on, it became something that I had to get. I wanted it more for "blogging purposes" in the beginning but after having worked with the palette, I'm falling in love with it more and more every day. The Packaging: As I mentioned before, I don't like the packaging. To me, it's a hot mess. The lid of the palette is packaged in a smoky mirror material and contains a cool "laser-cut filigree design" along the edges (as described on UD's product page.) The top of the lid contains a purple, jeweled "UD" logo. Inside the lid, there's a huge mirror which is a nice touch. 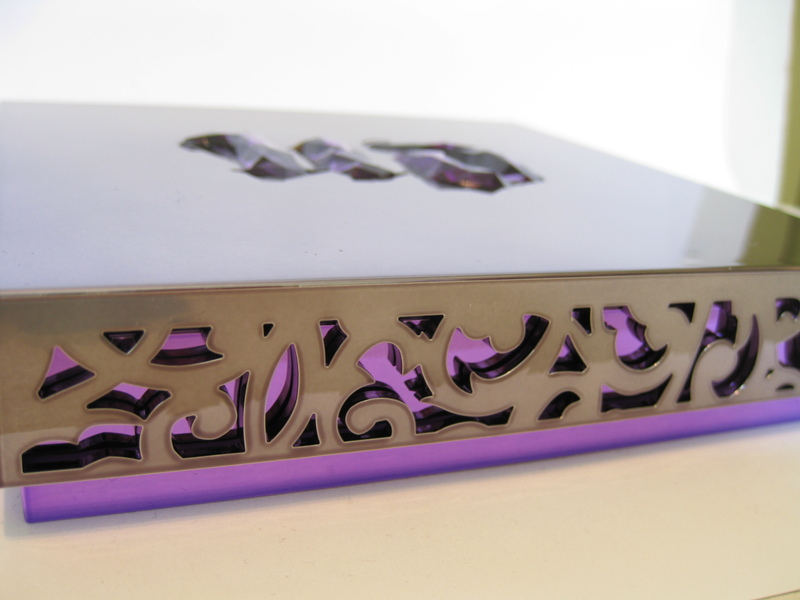 The tray holding the shades is made of a bright purple, mirrored material. And the final touch is a "secret compartment" -the tray holding the eyeshadows is removable therefore revealing the tiny compartment. While the design is indeed very original, I rather have something more practical. The cons? The hidden compartment is so small. Sure, there will be room after all the eyeshadows are used up but 1) Who's is going to actually use up all these shades and 2) It'll still be too small and too bulky even if you use up all the eyeshadows. I'd much rather have a jewelry or trinket box that I can store a lot in. In other words, I'd much prefer something in a sleeker, more compact design. 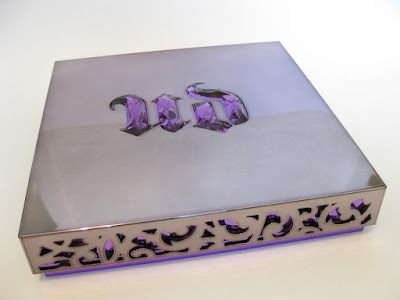 Why does Urban Decay always feel the need to package their amazing their amazing eyeshadows in such bulky, impractical packaging?! 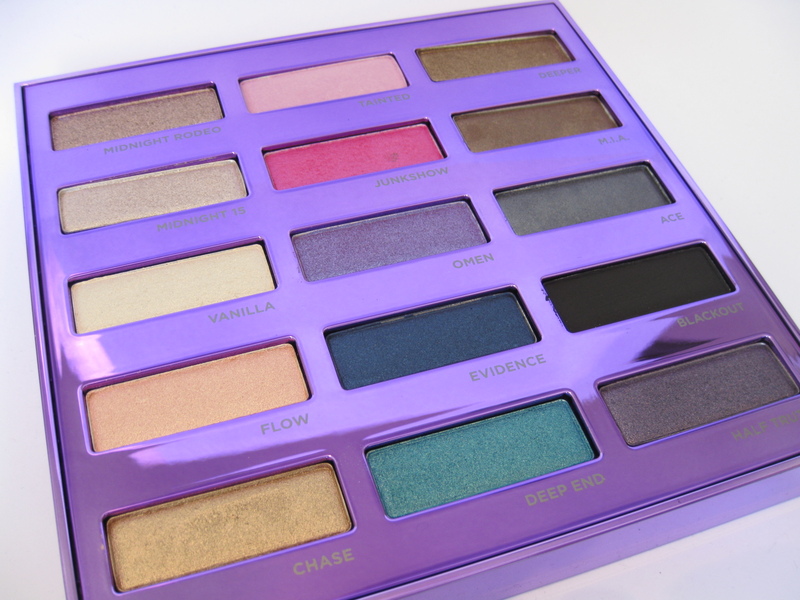 The Product: The palette contains 15 limited edition shades that have never been released before. While some have argued that there are dupes, of all the UD eyeshadows I own (and I only own 2 other palettes -sold the rest of my UD palettes), I don't believe there are any "exact" dupes. 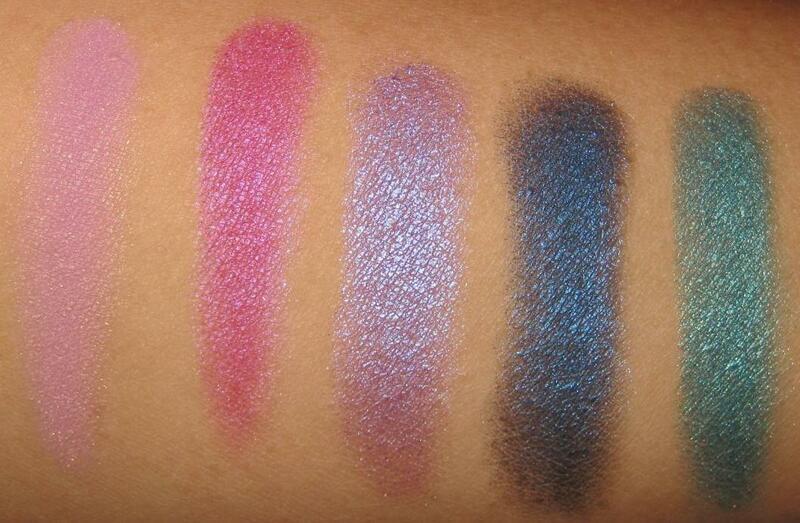 Yes, there are bound to be similarities but no exact dupes as again, these are all new shades. As for the product itself, the color payoff, like most Urban Decay eyeshadows, is excellent. I didn't hit a single "true" dud. I read Christine's review and she mentioned that Tainted "sheered out easily." I guess in a way, it does, but I really didn't have too many problems with that particular shade -it's actually one of my favorites in terms of color. 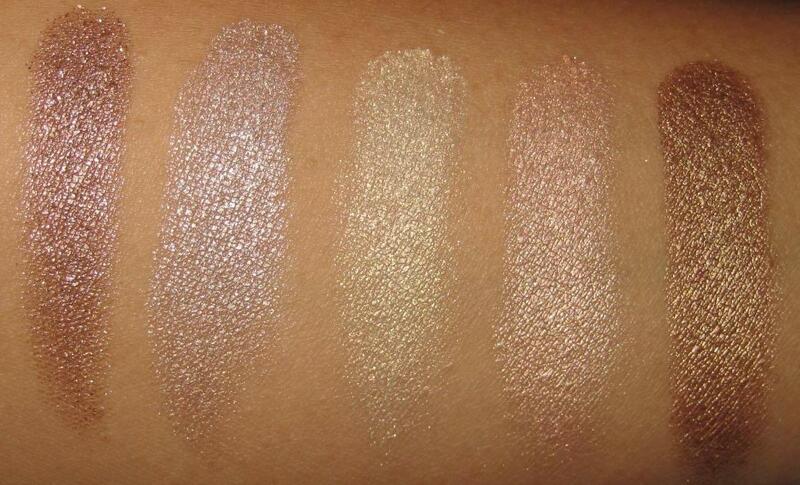 Each shade applies very smoothly (like butter!) and blends fairly easily. However, out of all the shades, I did find Evidence to be slightly chalky and stiff. It didn't feel as smooth as the others but overall, I'd say the quality of the shade is still very good. As for the shade that I liked the least, it would be Blackout. I had to layer it on a few times to get a "true" black and while it is a very good matte black, I do feel like I have other matte blacks that are better. I've read so many shade descriptions for this palette -here's my take on the shades.. Overall: This is a great value. 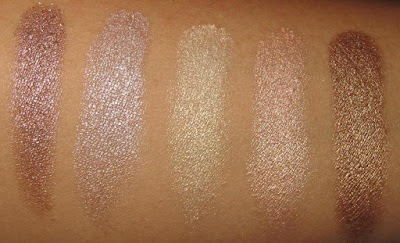 At $17 per single (0.05 oz) eyeshadow, you're basically getting 15 full size eyeshadows for the discounted price of $55. Individually, the eyeshadows would cost a grand total of $255 -that's a savings of $200! 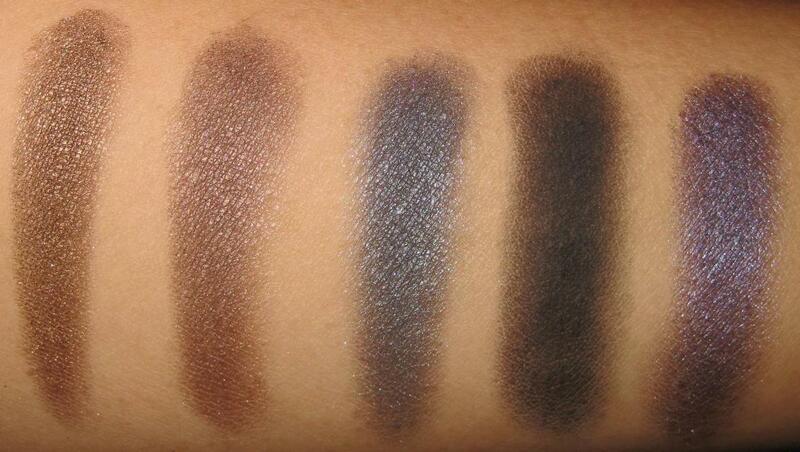 The palette contains shades from three categories: neutral shades, bright fun shades, and deeper, smoky shades. 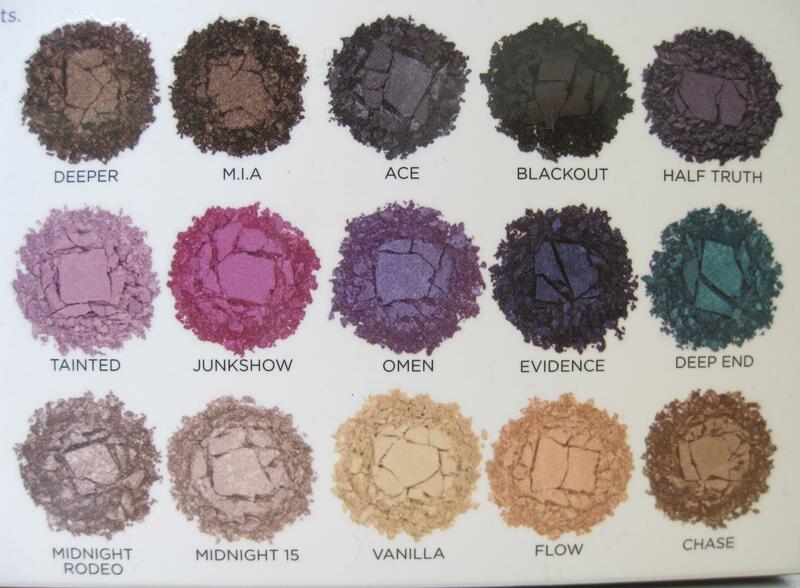 This is a palette that could fit individuals of all different tastes. It's a great all-around palette for someone who's just starting out and would like to buy high-end eyeshadows in a variety of different shades. 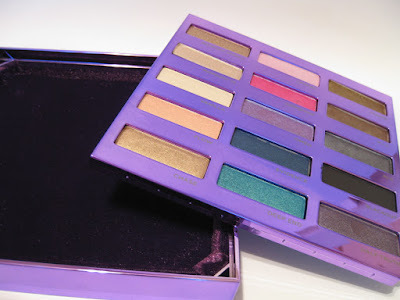 It's also a wonderful palette for any makeup junkie or collector. The quality is there. 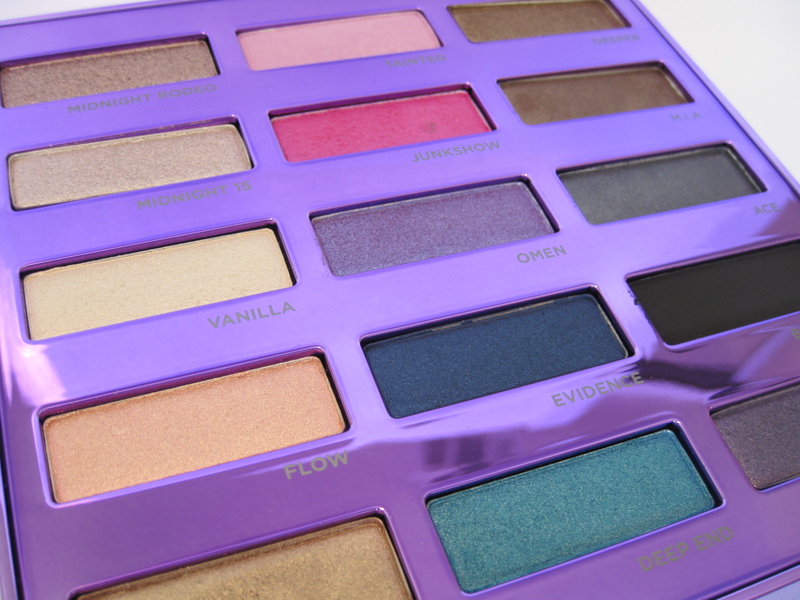 The only reason the palette got an "A-" is because of the packaging. Change that and it would definitely be a a solid "A". there are quite cute colors!! wow, i love all of the colors! 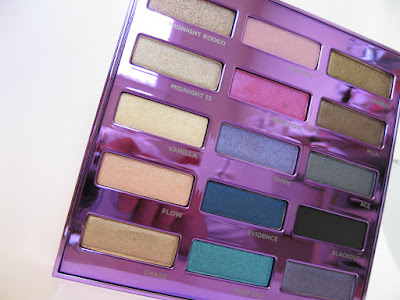 you're making me want to get this palette! I want this SO badly! I'm in love with it, I need this in my life! 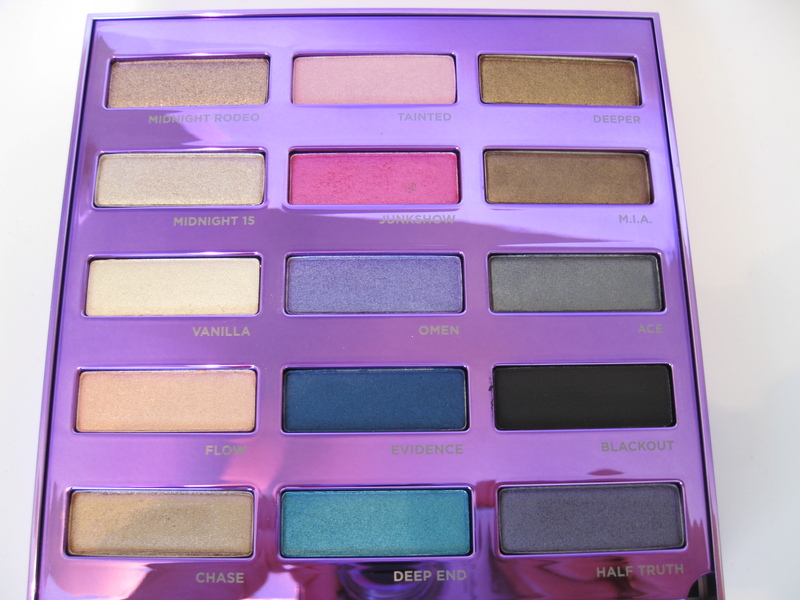 really lovely palette. I'm sure you'll be having a blast on playing with these colors. Why I Love Beauty 360..
Sonia Kashuk Brush Sets on Sale @ Target! !